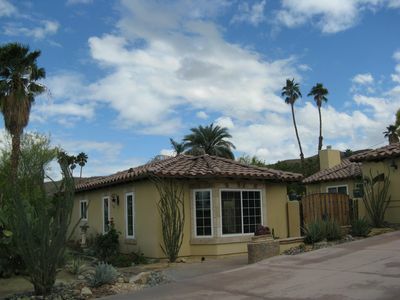 Beautiful 4 bed x 3.5 bath hacienda sylle house with pool, spa bath , and jacuzzi. 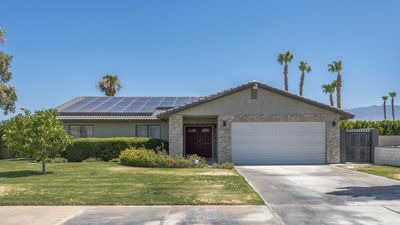 Quiet home located next to Rancho La Quinta in a gated community. Panoramic mountain views of the Santa Rosa's looking South, East, and West. 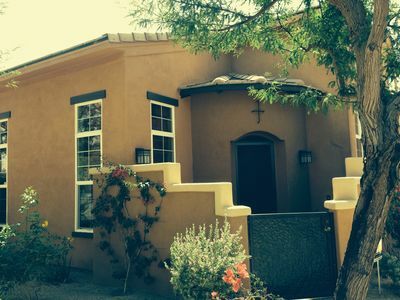 This is a classic home away from home for the directing traveler. 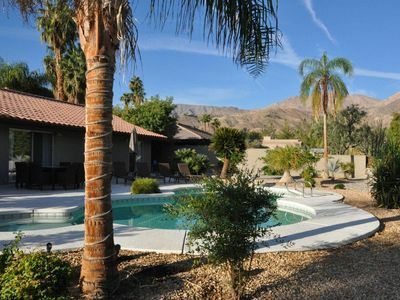 La Quinta is a resort city in Riverside County, California, United States, specifically in the Coachella Valley between Indian Wells and Indio. The population was 37,467 at the 2010 census, up from 23,694 at the 2000 census. The Robb Report credits La Quinta as the leading golf destination in the US. 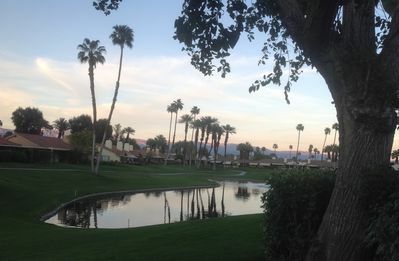 Among those destinations is the La Quinta Resort and Club, a resort dating to 1926, where director Frank Capra wrote the screenplay for Lost Horizon. The Tom Fazio-designed golf course at The Quarry at La Quinta is ranked among the top 100 golf courses in the United States. 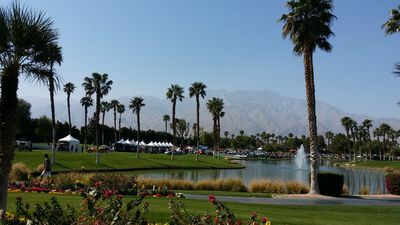 In January 2008, the Arnold Palmer Classic Course at the city's SilverRock Golf Resort became one of the four host golf courses for the annual Bob Hope Chrysler Classic PGA golf tournament. The Coachella festival's origins trace back to a 1993 concert that Pearl Jam performed at the Empire Polo Club. The show validated the site's viability for hosting large events, leading to the inaugural Coachella Festival's being held over the course of two days in October 1999—just three months after Woodstock '99. 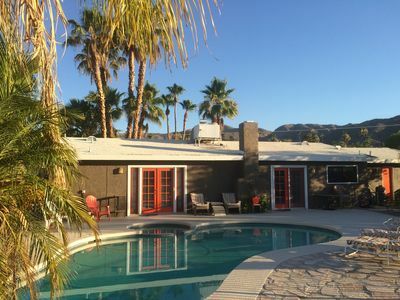 Coachella Festival showcases popular and established musical artists, as well as emerging artists and reunited groups. Coachella is one of the largest, most famous, and most profitable music festivals in the United States and all over the world. Each Coachella staged from 2013 to 2015 set new records for festival attendance and gross revenues. The 2016 festival sold 198,000 tickets and grossed $94.2 million. The success of Coachella led to Goldenvoice establishing two additional music festivals at the site, Stagecoach and Desert Trip. 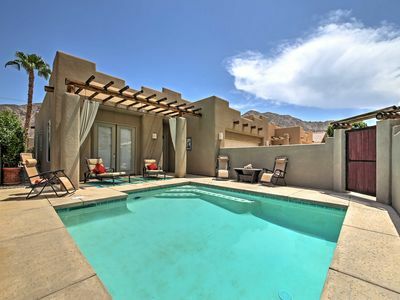 Luxurious & Clean La Quinta Home w/ Pool & Spa!